The MiVoice Business is an enterprise level business telephone system. It’s aimed at those companies who want a fully enabled Unified Communications solution, which can also include contact centre and cloud capabilities. Why does my business need the Mitel 3300 Phone System? MiVoice Business is a flexible phone system that can be rolled out in a number of ways- IP-PBX, a media gateway for larger networks, and many more options. It’s a scalable system that concentrates on bringing together all your communications elements into a single strategy, including voice, messaging, mobility, presence information, conferencing, productivity enhancing applications and collaboration. What are the MiVoice Business system’s main features? 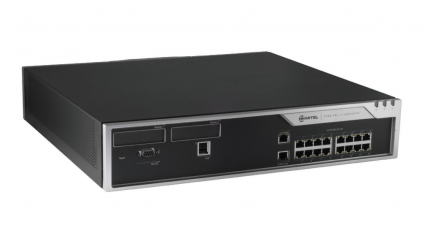 Interested in the Mitel 3300 System? Get in touch, we’ll call you back. Dynamic Extension allows you to choose up to eight devices or numbers to direct calls to. Grouping multiple devices under one number like this means you can be reached no matter what number a caller dials. MiVoice Business works with LAN/WAN and SIP. Administrators can log in via the web and make systems changes that synchronise across your whole system automatically. Click the button or call us on +44 (0) 333 2000 903.